We believe that girls have the same right to education as boys and that disabled girls have the same right to go to school as girls without a disability. Our focus will be on improving learning outcomes, specifically for marginalised girls, however we will work to improve the access to and quality of education so all children benefit. Across our projects, we will work to ensure disabled children will also benefit from their right to an education, and that child protection and gender equality are integral to all our education work. Improve access to education by building on our current strengths and the principles we apply through our education work. 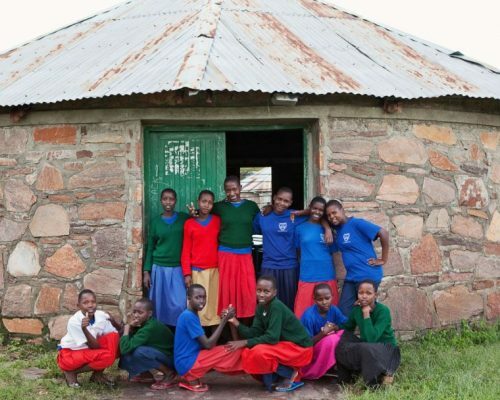 These are changing community attitudes with regards to girls’ education, building parents’ and community knowledge in terms of their responsibilities and school sponsorship. Improve the quality of education for both girls and boys, including those already enrolled and attending school. We will intensify our work in teacher training, school governance including child protection. Thus, improving education systems so they provide a safe and enabling environment for children to reach their potential. We will start supporting water, sanitation and hygiene (WASH) projects to improve safety, hygiene and food access at school. Improve the decision-making power for women and girls in relation to education by measuring the proportion of joint decision-making on education, the extent to which pupils have a say in school activities and their education, as well as the number of women and girls in leadership roles.